If the only book you own is currently propping up your air conditioner, maybe it’s time you broaden your educational horizons with a medium you still respect: Your computer. 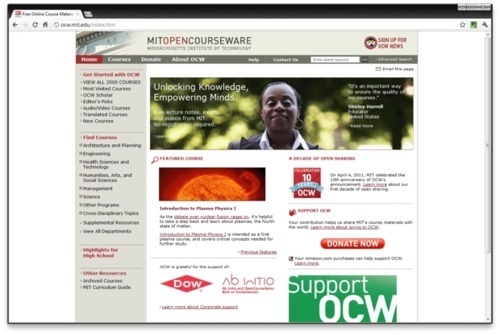 For over a decade, MIT OpenCourseWare has provided students and educators with free lecture content, course and reading materials to a wide array of their top drawer offerings. Oh, and it’s all free, so you can’t complain about the high cost of getting an education this time around folks. Head on over to Maximum PC and read my take on the site.